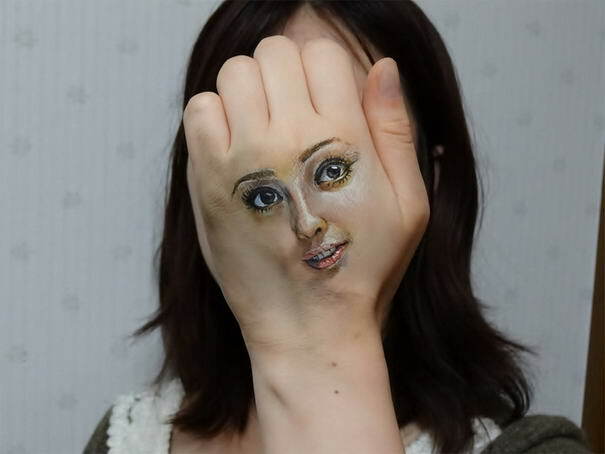 Chooo-San is a Japanese artist who is famous with her hyper-realistic body art masterpieces. 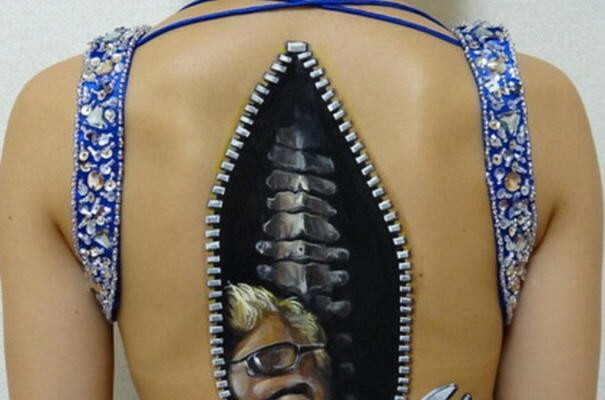 With using acrylic paint, japanese student has transformed the bodies of herself and volunteers into ones that appear to be from another world. 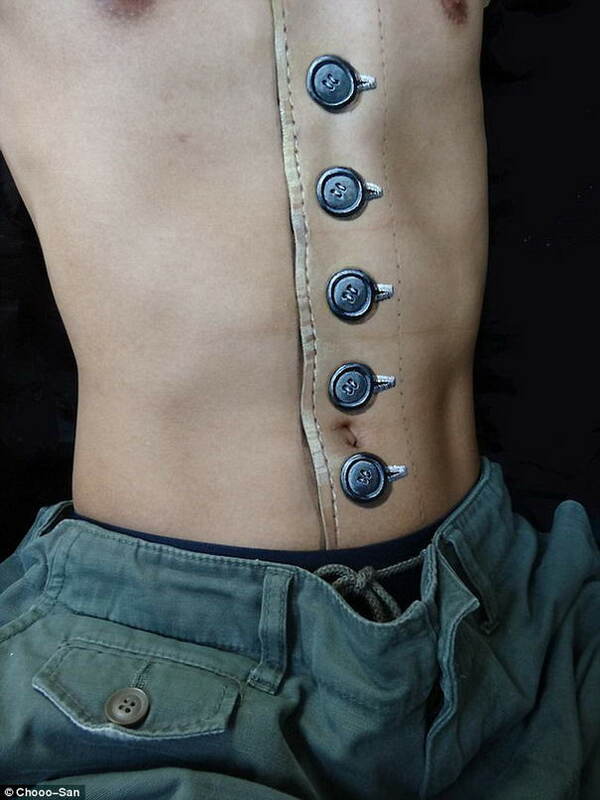 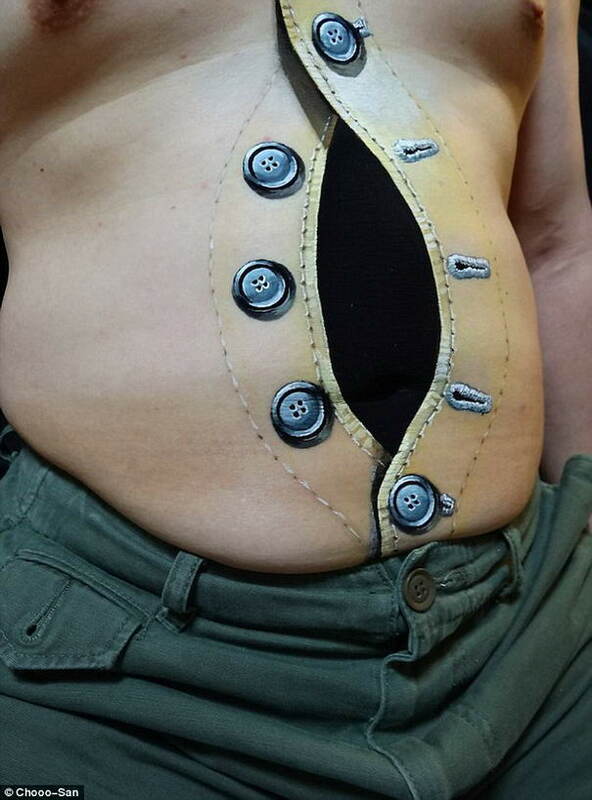 With zips, power plugs, laces,buttons and realistic face drawings on their bodies, these models look like something out of a science-fiction movie. 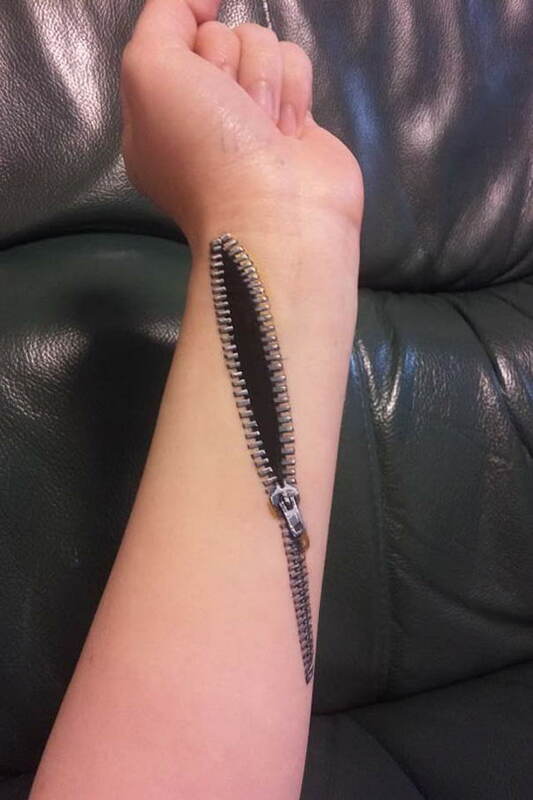 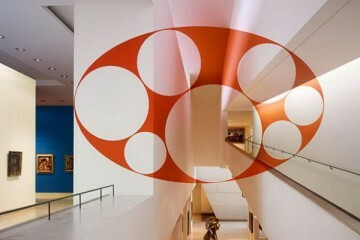 Believe it or not, below images has no photoshop action. 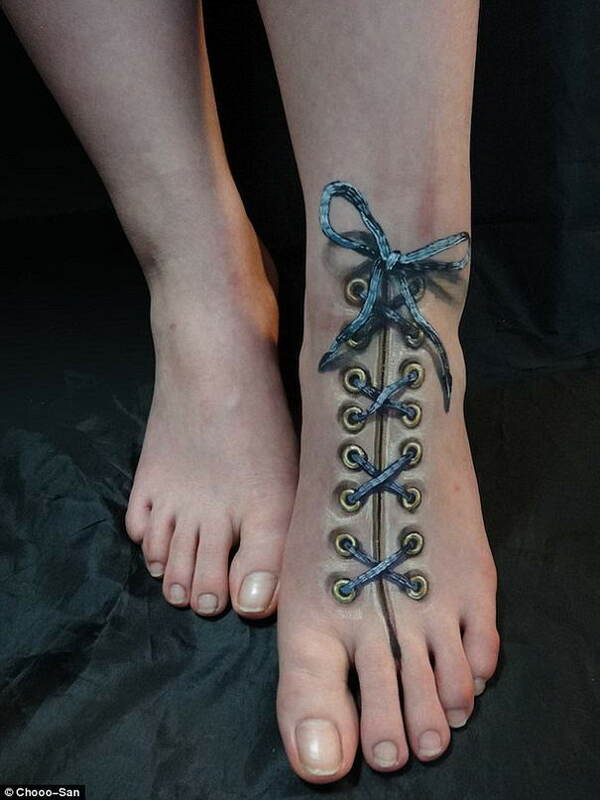 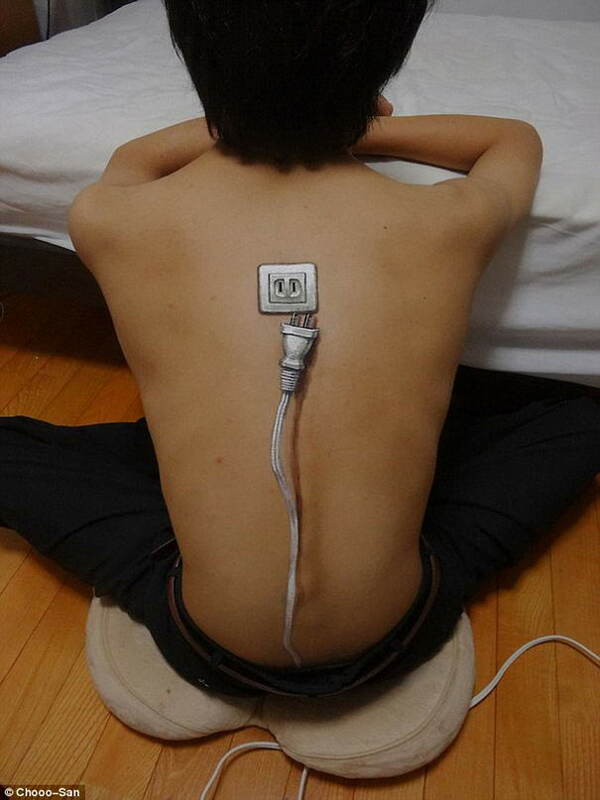 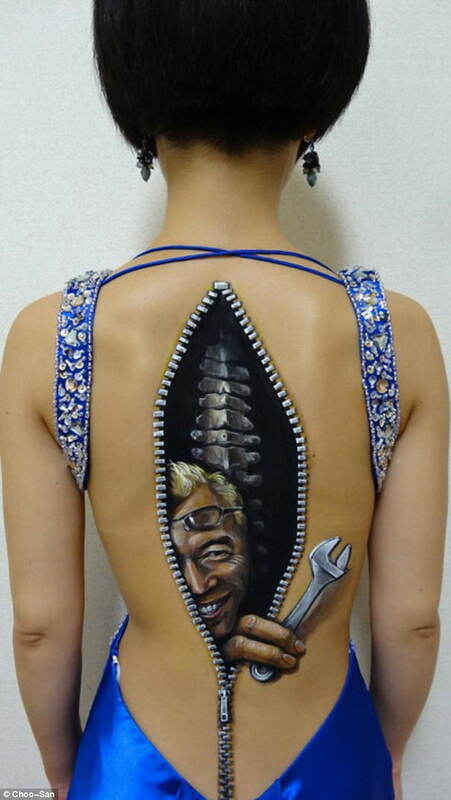 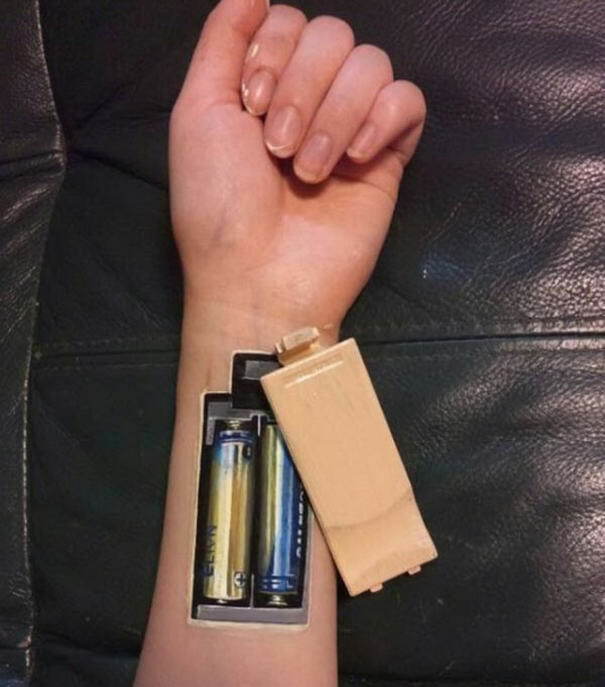 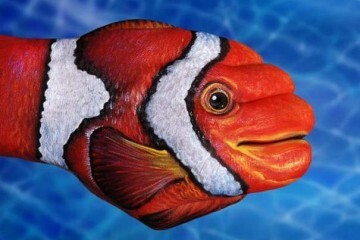 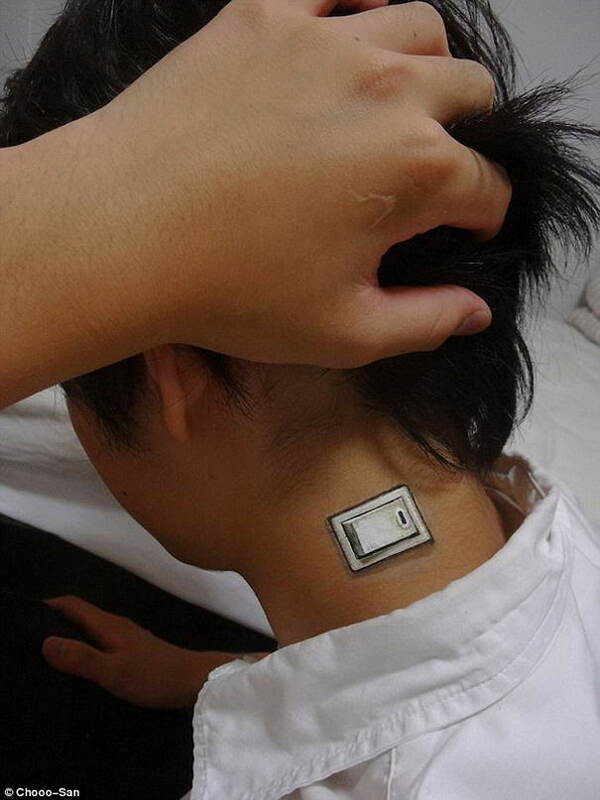 Check out 10 Most Outstanding Body Art Illusions by Chooo-San.